Getting sick is something that most of us try to avoid at all costs, by getting a flu shot every year, washing our hands, and avoiding friends and acquaintances who are sick. Unfortunately, it’s not always possible to avoid catching the flu. When the virus finds a way into your body, it’s only a matter of time before you start to notice the symptoms. You might feel tired and weak, and experience headaches, sore throat, cough, body aches and pains. Chills and a fever are other tell-tale signs that you’ve caught the influenza virus. Once you’re sick, the only medications that will actually treat your illness are antiviral medications. These work best when started within 2 days of the start of symptoms, reducing the severity and duration of illness. But they are only available through prescription. However, there are some at-home and over-the-counter treatments that can help to relieve the symptoms that are associated with the flu, while others may be less helpful. So how can you know which treatments work and which ones don’t? 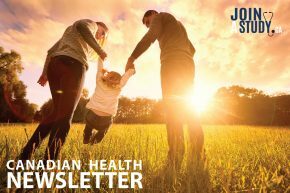 In this article, we take a look at both natural remedies and medical treatments that can help you return to normal—as well as the flu treatments you needn’t bother with. For decades, getting the flu has been a license to eat chicken soup. So does this popular home remedy actually help you feel better? The answer is yes. It won’t cure you, that’s for sure, but as a hot, nutrient-rich liquid, it may help with your symptoms. In general, staying hydrated is one of the most important things you can do for your body when you’re sick —whether you drink juice or sip on soup. But a hot bowl of soup has the added benefit of temporarily relieving nasal congestion. 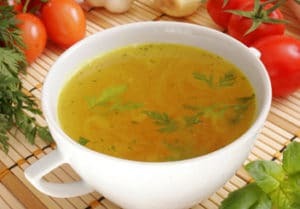 Chicken soup may also help to relieve inflammation in the body, which can make you feel better. Antiviral drugs target flu viruses to stop them from reproducing in your body. They are the only medications that actually treat the cause of the flu. When used according to instructions, they can help to reduce the duration and severity of symptoms in both kids and adults. They can also help to prevent serious complications that could arise from the flu, especially in people who are at an increased risk of developing severe flu complications. This includes elderly individuals, pregnant women, and people who suffer from heart disease, asthma, or diabetes. Antiviral medications work best when they are started within 2 days of the beginning of symptoms, and are only available through a prescription. 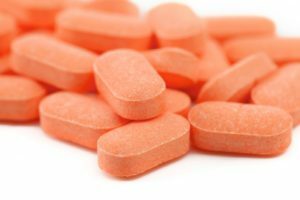 The reality is that popping vitamin C tablets or guzzling glasses of orange juice does not seem to prevent the onset of the flu or help to treat symptoms. Though a little extra vitamin C won’t hurt and OJ is a good way to stay hydrated, studies suggest that vitamin C does little to treat the symptoms of cold or flu. Some people with the flu end up with symptoms such as vomiting and diarrhea, especially children. For a lot of kids, an upset stomach means an excuse to drink fizzy, sugary ginger ale. Can drinking ginger ale help? Research has shown that ginger does help treat nausea, including nausea resulting from the flu. With that said, you should think twice before opting for a glass of pop. Firstly, the carbonation may irritate the lining of the stomach—flat ginger ale is best. Secondly, it’s impossible to know how much ginger a grocery-store variety of ginger ale contains. Ginger tea, ginger capsules, or dissolved ground ginger are likely to be more effective. Antiseptic mouthwashes, which contain alcohol, can be overly harsh on the lining of your mouth and throat. Instead, opt for a simple salt water solution. 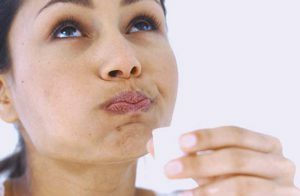 Gargling with salt helps to pull out the virus from the tissues in the throat. Adding a bit of honey can help with the taste. Treating symptoms such as a sore throat, nasal congestion, and a runny nose can go a long way in improving your morale while you’re down with the flu. A humidifier allows you to breathe moist, steamed air, which is easier on your nose and throat. A hot shower once or several times a day will have a similar soothing and calming effect. Colds and flu are caused by viruses. Antibiotics are not effective for treating colds and the flu because they fight bacteria and not viruses. Only an antiviral medication can help to combat the flu. Taking an antibiotic when you don’t need it may increase your risk of getting an infection later that may resist antibiotic treatment. Some people do go on to develop bacterial infections after getting the flu (e.g., bacterial pneumonia, ear infection, sinus infection), in which case it is appropriate to take an antibiotic to treat the bacterial infection. Last but not least, you’ll need plenty of rest to fight a virus. That may mean cancelling plans to exercise, go to work, or participate in regular day-to-day activities, such as doing yard work, playing with your kids, or cleaning. It’s okay to do a little, but soldiering on when you feel lousy isn’t a good idea. Give your body the rest it needs to heal. PreviousPrevious post:5 Frequently Asked Questions About Stress IncontinenceNextNext post:What is Urge Incontinence and Am I At Risk?